HaaS is a new and rapidly growing managed service, and the concept has been around for years. When your cable provider installs a new router to replace an outdated one, or your wireless carrier sends you the latest cell phone included in your monthly plan, they are essentially providing hardware along with the service. Even your office water cooler is a piece of hardware that is often included as part of your bottled water system subscription. Purchasing these items outright may not be practical — who wants to be stuck with obsolete and unusable equipment? 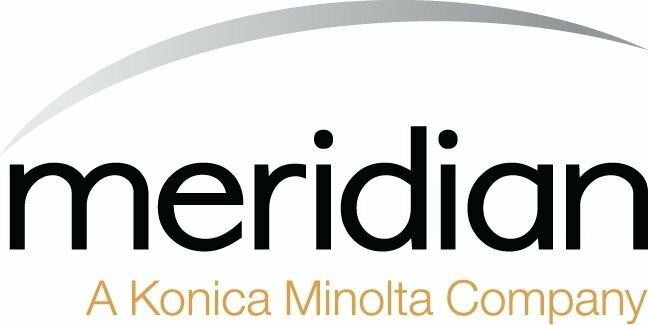 Outdated IT equipment can be even more costly, especially to a small or midsized organization. It can lead to poor productivity, lower revenue and lost data. HaaS is essentially like leasing the network equipment, such as servers, which your business would otherwise likely have to purchase, and it almost always includes a maintenance/support contract. Combined with a service level agreement (SLA) from a managed services provider (MSP) that covers all aspects of your technology needs — can alleviate a lot of hardware headaches and provide some big benefits. A fixed monthly cost also makes technology expenses budgetable. (Also see: How a Virtual CIO (VCIO) Can Help DC SMBs Budget Better.) HaaS removes the unpredictability factor involved with maintenance and upkeep. If your MSP has a proactive service approach, and they should, then they have a vested interest in maintaining an efficient and productive network. Remember Moore’s Law? You can't expect to be successful in tomorrow’s business landscape using yesterday’s tools. HaaS is a great way to stay current with state-of-the-art technology specific to your industry and business goals and needs — from multifunction printers and copiers, to servers, computers, peripherals and more. No longer will you feel compelled to “try to make things work out” with outdated technology because of cost constraints. Too often, new hardware is purchased and maintenance is neglected due to costs. With a HaaS solution, the equipment and service is included in the SLA. You can forget about the potential implications of equipment failure and system crashes right after a warranty expires. Just let your MSP resolve — or better yet, prevent — the problem. When it comes to IT hardware and security, new is often better. Network security sometimes requires both hardware and software updates. With HaaS, it is easy upgrade to the latest hardware if it is necessary for security reasons. Or, your may need a better or bigger appliance as a component of your backup and disaster recovery plan. Whatever your network security needs, HaaS can be a key part of the solution. RELATED: Do DC SMBs Need Cyber Liability Insurance for Security and Business Continuity? HaaS can provide even more benefits to an SMB than those listed here. So, is HaaS a part of your organization's technology road map, or strategic technology plan? 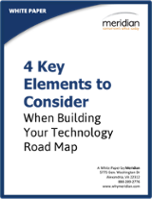 If you're not sure what to include in a strategic technology plan for your business, check out our free white paper: 4 Key Elements to Consider When Building Your Technology Road Map.